Happy Hump Day! 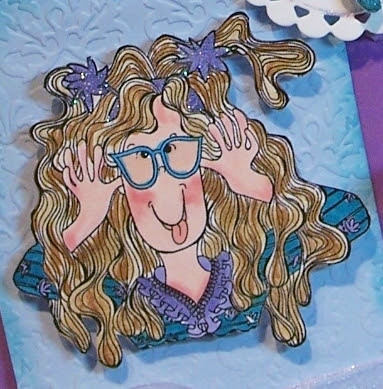 Today is my final week for September as a visiting artist at the Gingersnap Creations Challenge Blog. The theme this week was a color challenge, Light Blue, Turquoise and Medium Purple. The monthly theme is friendship. I decided to make a gift bag with a tag instead of a card. 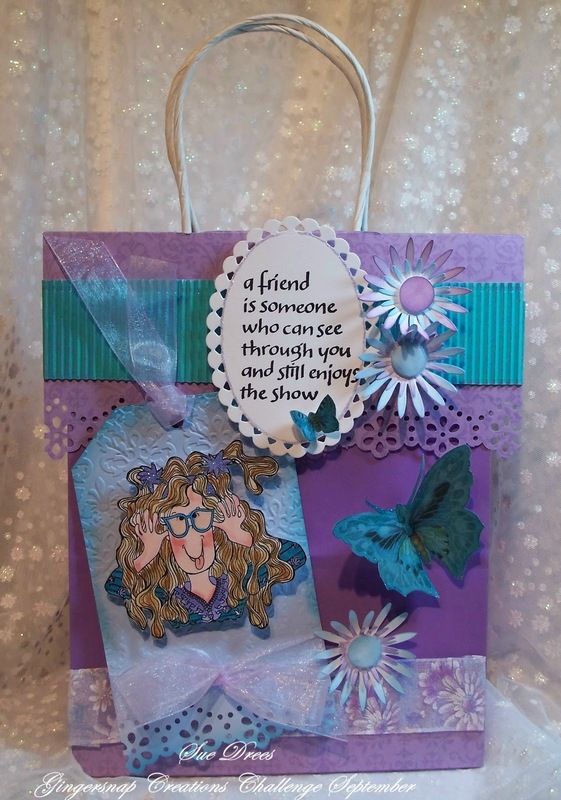 You should really head on over to the Gingersnap blog to check out the design team entries, they are wonderful. Hope you have a chance to join us, this is a great color combo. I just wanted to add that I have had a great time this month with the Ginger Gals and a big THANK YOU shout out to Sharon for asking me. hihihihih, ohhh who get this bag wil be giggling for sure. what a great bag sue and a fun image. LOL!! You gotta love that image!! :) Such beautiful colors and design sweetie!! I love it!! Thanks for sharing! Love this bag and the cute stamp! How fun! 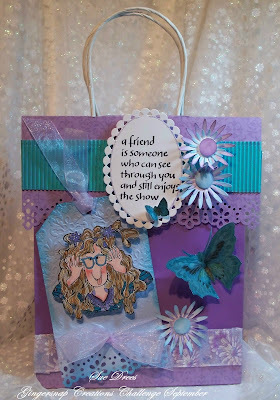 I love these colors together, great idea to make a gift bag and tag. This will make a really cute gift! This stamp is a real hoot!